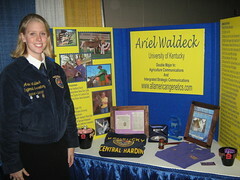 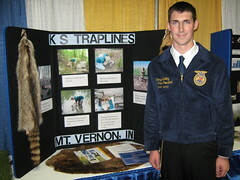 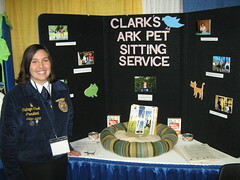 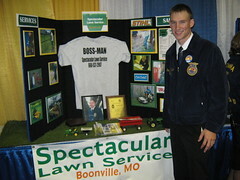 Newt McGuire and Spectacular Lawn Service, 2009 FFA Agri-Entrepreneur. 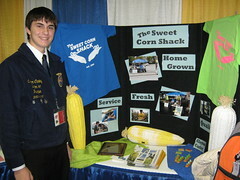 Newt describes his zero turn mowers and growing his business from word of mouth. 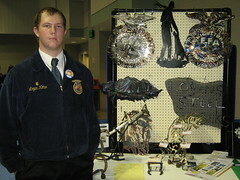 Mike Rowe from Dirty Jobs, is the main keynote to the students of the 2009 National FFA Convention, October 21-24, 2009, Indianapolis, Indiana, USA.